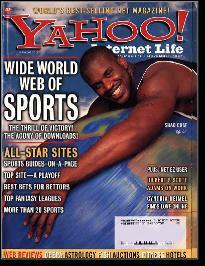 Shaquille Rashaun O'Neal was born March 6, 1972 in Newark. Shaquille’s father, Joe Toney, was an All-State guard who was offered a scholarship to Seton Hall. A drug addiction problem ended his basketball career. He was in jail when Shaquille was a toddler and was never a part of the boy’s life. His father figure was Phillip Harrison, whom Lucille O’Neal married. Harrison was an army sergeant. His career later took him to Georgia, Germany and then to Texas. The family followed. Shaquille started playing basketball at the Boys Club in Newark and continued to develop in pick-up games at the base in Germany. By the time Harrison was transferred to Ft. Sam Houston in San Antonio, Shaquille stood a muscular 6–8 and had phenomenal speed and coordination. Imagine Cole High School coach Dave Madura’s shock when Shaq strolled into his office to introduce himself. With Shaquille at center, Cole went 31–1 his junior year and 36–0 his senior season, winning the state championship. Shaquille averaged 32 points and 22 rebounds a game. Shaquille accepted a scholarship from LSU. Coach Dale Brown had first met him when he was 14 in Germany, and assumed he was an enlisted man. Needless to say, he stayed in contact with Shaquille throughout his high-school career. As a member of the Tigers, Shaquille played three seasons and was the top rebounder in the SEC in each. As a freshman, he established a new conference record for blocked shots. He broke his own record in each of the next two seasons. Shaquille was SEC Player of the Year and a First-Team All-American in 1991 and 1992. In the summer of 1992, he was part of the USA Olympic Dream Team. Shaquille decided to enter the NBA Draft following his junior year. He was selected with the first overall pick by the Orlando Magic. Shaquille was named NBA Rookie of the Year in 1992–93 and led the league in scoring in 1994–95. That season he led the Magic to the NBA Finals, where they lost to the Houston Rockets. Shaquille left Orlando to join the Los Angeles Lakers as a free agent in 1996–97. He teamed with young star Kobe Bryant and, later, coach Phil Jackson. This “trio” won the NBA title in 2000, 2001 and 2002. Shaquille was named NBA Finals MVP each time. In 1999–00, Shaquille led the NBA with a 29.7 scoring average and won his only regular-season MVP award. In 2004, the Lakers looked like a sure bet to win another NBA title when they faced the Detroit Pistons in the NBA Finals. Their unexpected loss created a rift between Kobe and Shaq. Shaquille asked for a trade and the Lakers accommodated him, shipping him to the Miami Heat that summer. Two years later, Shaquille teamed with Dwyane Wade to win the 2006 NBA championship. Midway through the 2007–08 season, the Heat traded Shaquille to the Phoenix Suns. In his mid-30s and no longer as mobile as he once was, Shaquille was now a role player. The role he hoped to play with the Suns was to give them a much-needed presence in the paint during the playoffs. This plan backfired, as the Suns lost in the first round in 2008 and failed to make the playoffs in 2009. Shaquille played his final NBA seasons with the Cleveland Cavaliers and Boston Celtics. He retired after the 2011 playoffs. In 19 NBA seasons, Shaq scored 28,596 points and averaged 23.7 per game. He won two scoring championships and was the league’s most accurate shooter 10 times. Shaquille played in 15 All-Star Games and was named MVP three times. He was named First-Team All-NBA eight times. When he retired, Shaquille he was among the NBA’s all-time Top 10 in points, field goals, blocked shots, offensive rebounds, defensive rebounds and free throws attempted.